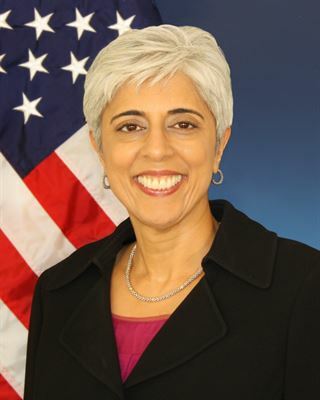 Arati Prabhakar, former head of DARPA, will be a panelist at this weekend’s conference. The Women’s Center is holding its 31st annual leadership conference April 22, at the McLean Hilton. Featured speakers include Arati Prabhakar, former director of the Defense Advanced Research Projects Agency; the inventor of GloveStix, Krista Woods; and Maj. Gen. Kimberly Crider of the U.S. Air Force Reserves. This year, the event has a new feature, the World Café, where selected senior leaders will discuss advancing women and girls in STEM fields. Teresa Carlson, vice president of Amazon Web Services’ world wide public sector, Toni Townes-Whitley, corporate vice president of Microsoft’s worldwide public sector, Laura Quintana, vice president of corporate affairs global field operations at Cisco, and Jill Klein, assistant dean for digital initiatives and new programs at American University are featured speakers. In addition to networking opportunities, the conference offers a number of concurrent sessions on personal branding, negotiating,and presentation tips. Interested in attending? Register here.